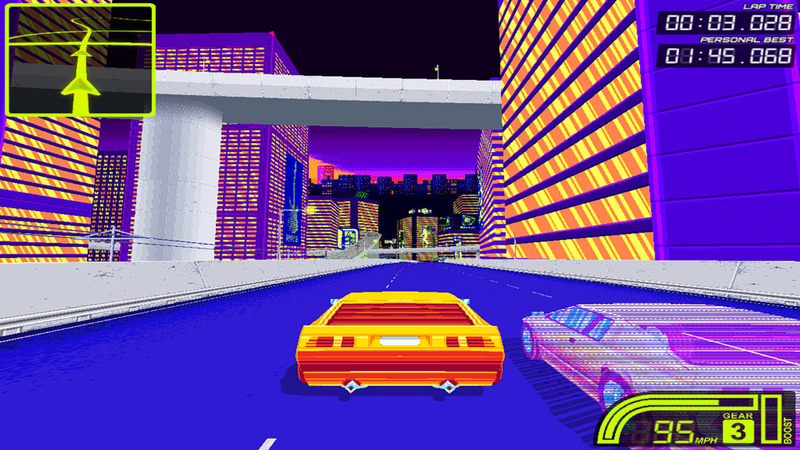 "A bright and neon filled racing game." 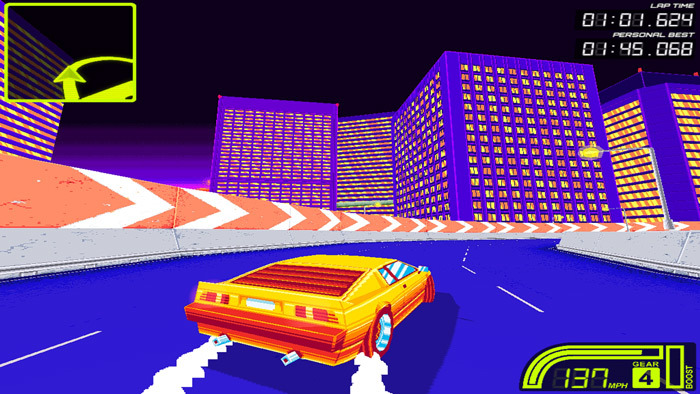 Drift Stage (early alpha demo) is a bright neon racing game with a rather retro feel to it, it’s still very early in development at the moment so there’s not much to get stuck in to here, just one time trial track where you can race against a few other ghost cars also and try to beat the ghost of your own time after you have completed your first lap. 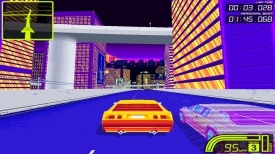 As the title implies a big part of the game is trying to drift your way round the many tight corners in the track however the controls feel very clunky especially if you are using a keyboard rather than a controller and even when you think you’ve perfectly drifted round a sharp turn it’s very easy to still hit a wall and slow yourself down quite a lot. If you’re really in to racing games then you might want to check this out but it does (at least for the time being) have a lot of flaws and can be quite a frustrating game due to the tank like handling of your car. 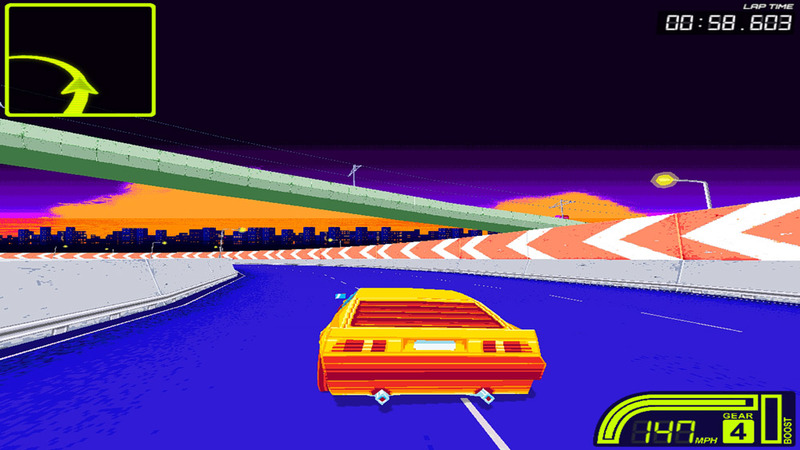 You can download Drift Stage here for free.